There is no joy in Tigertown today. The white-haired genius who helped make red the pre-eminent color in the National League in the ’70s and directed the American League team that roared loudest in ’80s has passed. Sparky Anderson, the chatty Hall of Famer given to outrageous success and outlandish predictions, joined the great majority Thursday, three days after he was admitted to a hospice in Thousand Oaks, Calif., where he had spent most of his adult life. Death came at age 76 for a man who had spent 42 years in professional baseball, 30 as a manager, including four in the Minors. Anderson was the first man to manage a World Series champion in each league. He steered the Big Red Machine to victory against the Red Sox in the wonderful and rain-protracted, seven-game Series in 1975 and to a sweep of the Yankees the following October. 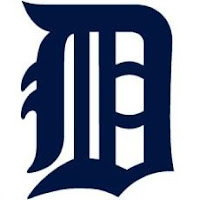 Eight years later, his Tigers team won 35 of its first 40 games, led the American League East wire to wire and won seven of eight postseason games. The ’76 Reds remain the only team in the divisional play era to sweep the postseason. Thanks, Sparky, for making the Tigers great again.